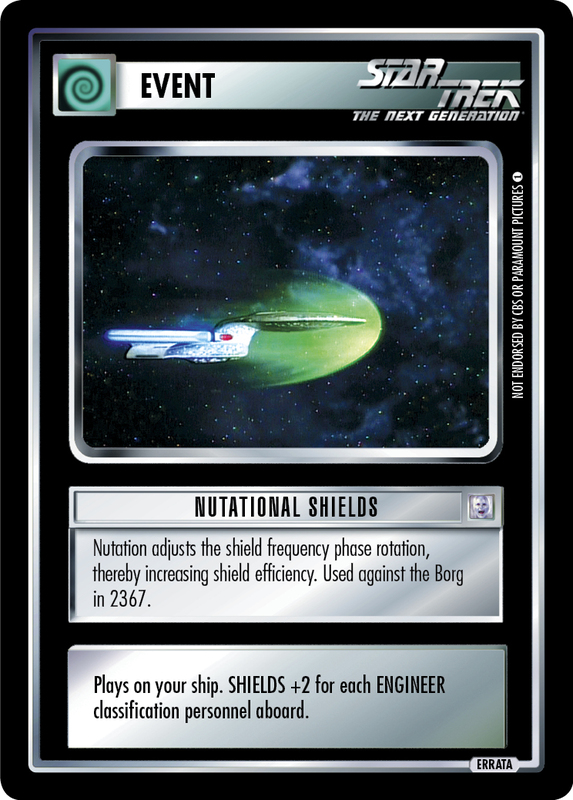 Nutation adjusts the shield frequency phase rotation, thereby increasing shield efficiency. Used against the Borg in 2367. Plays on your ship. SHIELDS +2 for each ENGINEER classification personnel aboard.